mash them and put them on a table. 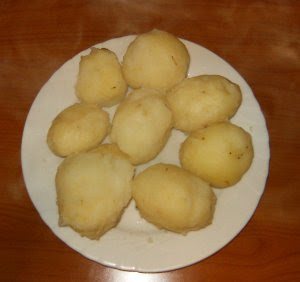 Then add to the mashed potatoes the flour, the chestnut flour, the eggs and salt. 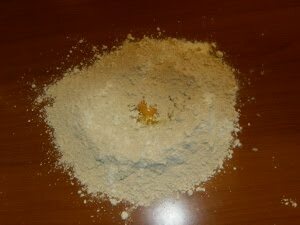 Mix all together and work until you will obtain a homogeneous dough. 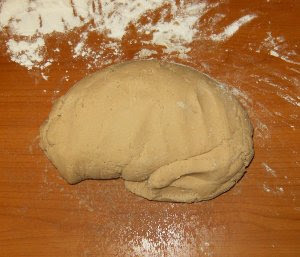 Now divide the dough in parts and roll each one in order to obtain a sort of longs sausages thick as a finger. 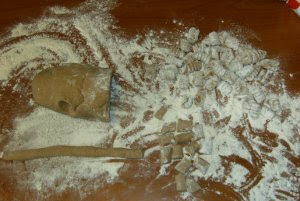 Pay attention to have always enough flour on the worktable in order to not attach the dough to it. Cut each long sausage in small pieces of 1 cm length. 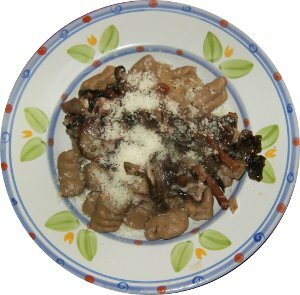 When you have all the pieces, you have to give them the shape of gnocchi: to do this, take a fork. 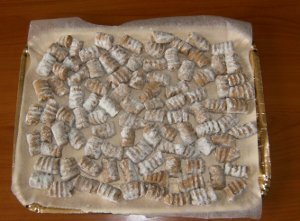 Hold the fork with one hand and lean it to the work board, with the other hand take a piece of dough and with the index finger press rolling it on the fork: in this way you obtain gnocchi. Sprinkle the gnocchi with flour and place them on a tray. In the mean time let the salted water boil for gnocchi and start preparing the seasoning for gnocchi. 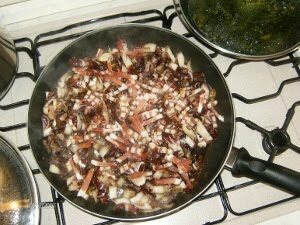 Clean, wash the radicchio and cut it in stripes. 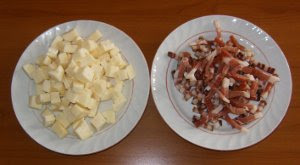 Cut the speck in cubes or stripes and cut the cheese in cubes. 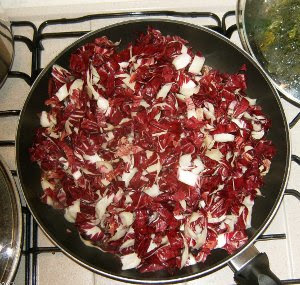 When everything is ready preheat the extra Virgin olive oil in a large pan, add the radicchio and cook it for about 10-15 minutes. 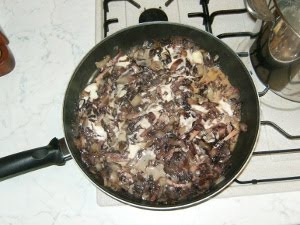 At this point add the speck and let it cook for 5-8 minutes. 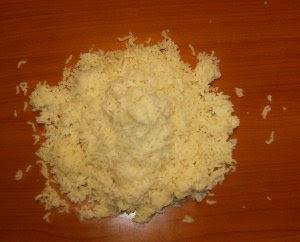 pay attention to not dry too much the sauce that comes from the cheese. 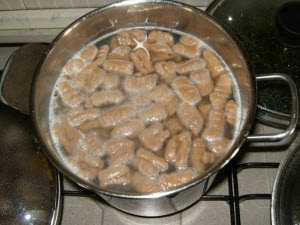 When the salted water boils add the gnocchi and when they rise to the surface, drain them. 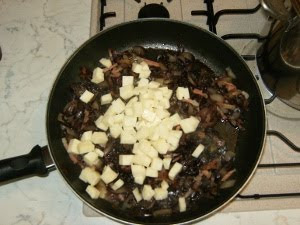 Add the cooked gnocchi to the sauce. Serve them and if you like sprinkle with Parmesan.